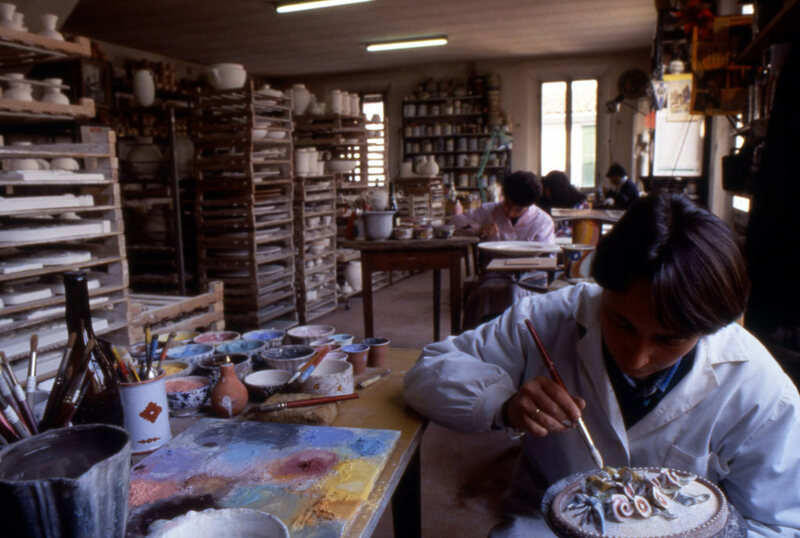 Bottega Gatti was founded in Faenza in 1928 by ceramic sculptor and painter Riccardo Gatti. 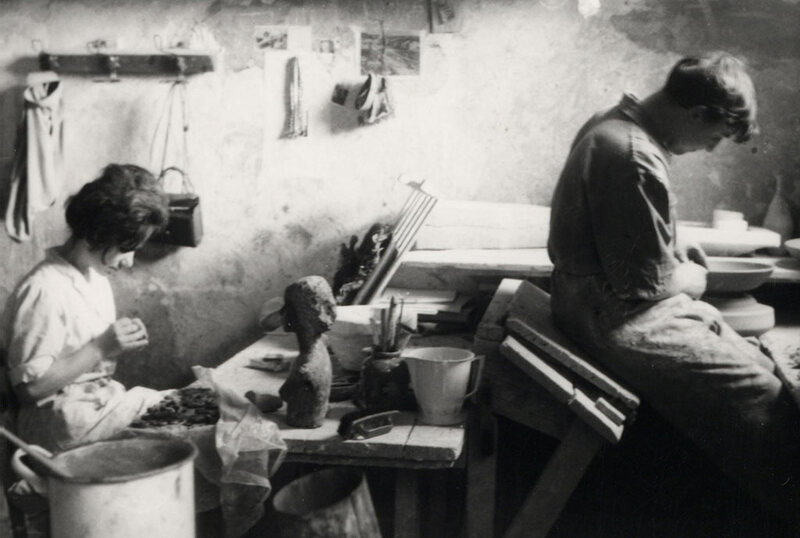 The year that it opened, Riccardo Gatti approached the Futurist Movement, making a series of ceramics based on his own models as well as those of some of the important members of the artistic group, which included Balla, Dal Monte, Benedetta and Fabbri, a collaboration that continued until 1930. 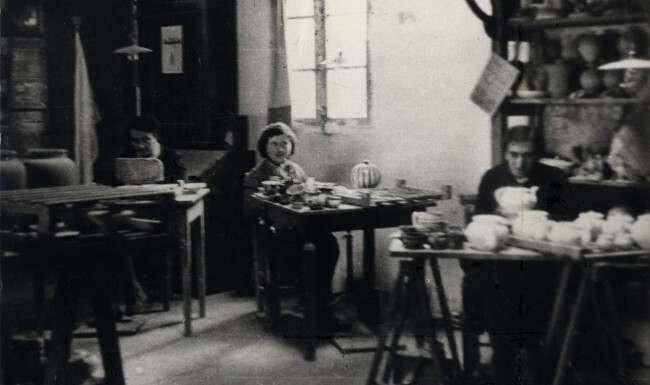 In the second half of the 1930s, Gatti participated in the attempted renewal of handcrafts and arts that was promoted by the ENAPI association, then under the direction of Giovanni Guerrini, creating ceramics for the Milan Triennial, with designs created by artists and architects such as Ponti, Corvi and Guerrini himself. 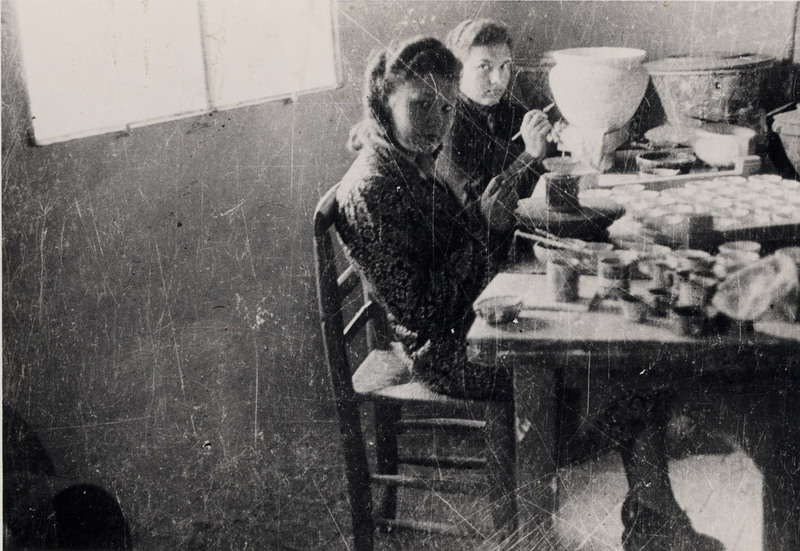 The history and ideals of Bottega Gatti are constituted by such experiences, especially those with futuristic ceramics. Bottega Gatti did not only get its inspiration from history, but amplified that dialogue in its collaboration with important artists. 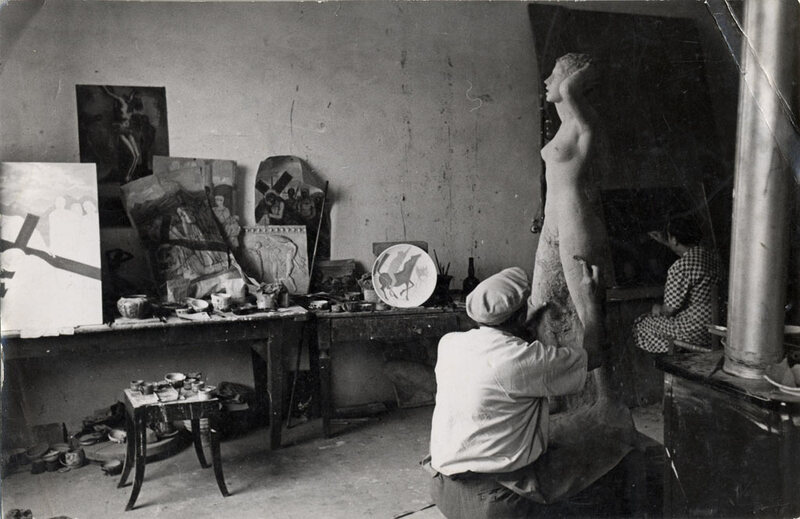 This was confirmed at the end of the 1980s, when Dante Servadei, nephew and pupil of Riccardo Gatti succeeded Gatti as the head of the workshop upon Gatti’s death in 1972, and through Servadei’s son Davide, as they undertook new collaborations with artists. A first opportunity appeared in 1986 at the time of the Futurism Exposition, organized in Venice at Palazzo Grassi. Bottega Gatti reunited with futuristic artists for the Exposition, such as Mario Guido Dal Monte, who had worked with Riccardo Gatti. 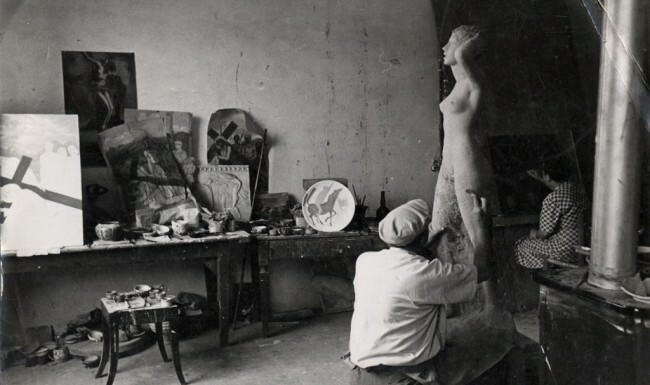 Another show, again at Palazzo Grassi, formed the base for two other artistic encounters: the first with the Belgian Surrealist painter Paul Delvaux, for whom the workshop reproduced some of his famous “Women-trees” in ceramic; and the second encounter was with Venetian artist Santomaso. (The key moment of consolidation of these initial attempts came in 1990, when the workshop became involved in some important initiatives. 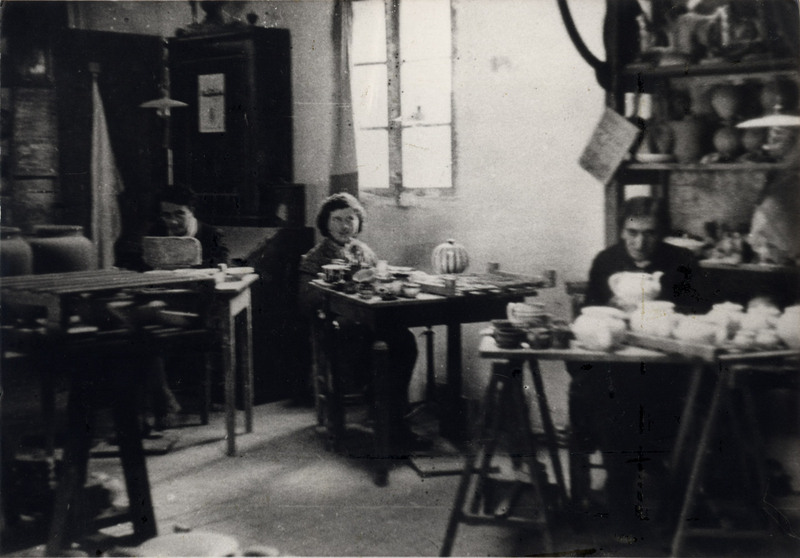 This period saw the creation of ceramic items for the World Cup, which saw some important artists, including Bruno Munari, visiting Faenza, on the initiative of the Ceramists’ Consortium of the city). In 1990 Bottega Gatti participated in the project known as “L’apprendista Stregone” producing a series of works with Pablo Echaurren, Guido Strazza and Giuliano Della Casa. 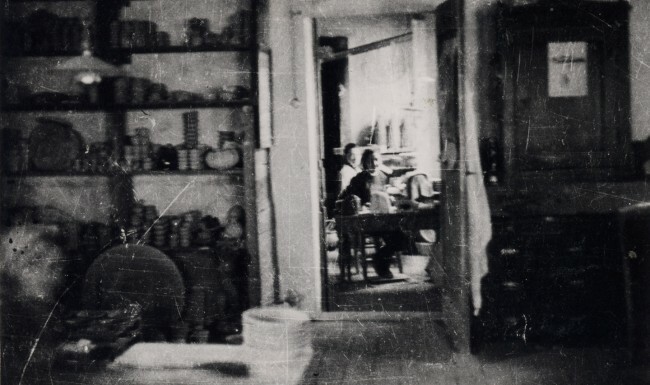 Simultaneously with the opening of the show, which included the works of “L’apprendista Stregone” project, Bottega Gatti inaugurated an expo of ceramics produced together with Ugo Nespolo. 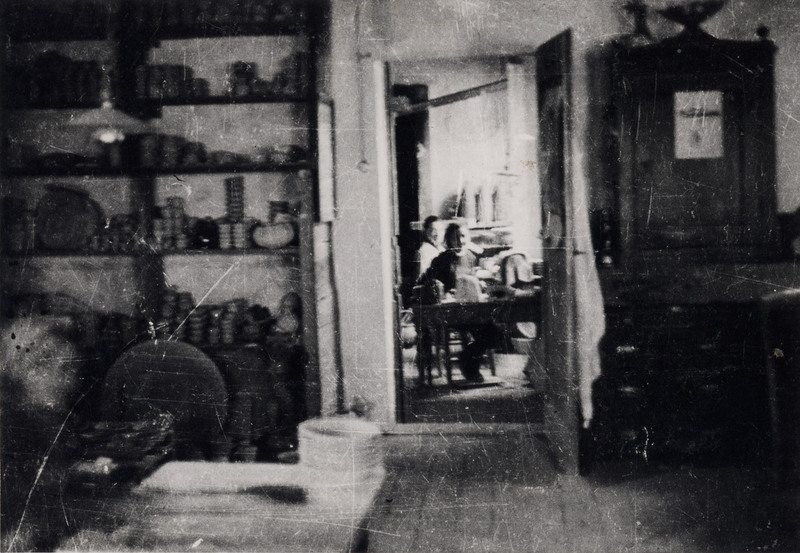 The success of these relations with artists, seen in the case of Bottega Gatti in its continued work with Echaurren, Della Casa and Nespolo, translates into a series of following experiences, that led many other artists to Faenza to work with ceramics. 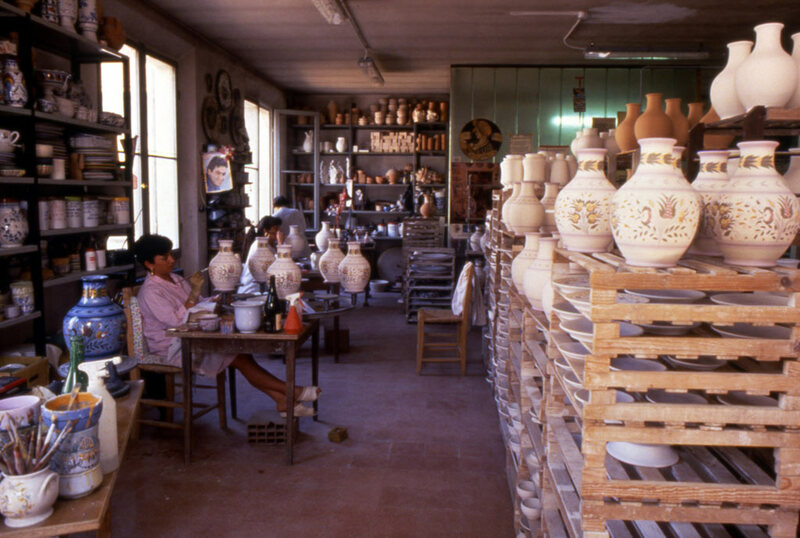 In 1991 the company began a ceramic work with artist Enrico Baj and in 1992 with Sebastian Matta. Both projects ended with an exhibition of the works created at Bottega Gatti, while the following year saw the production of the famous Black and Gold panel by Alberto Burri, today hung in the entry of the International Ceramics Museum in Faenza. In 1993 Davide Servadei, leveraging the experience honed in the past, began looking for artists with whom to embark upon collaborative journeys. 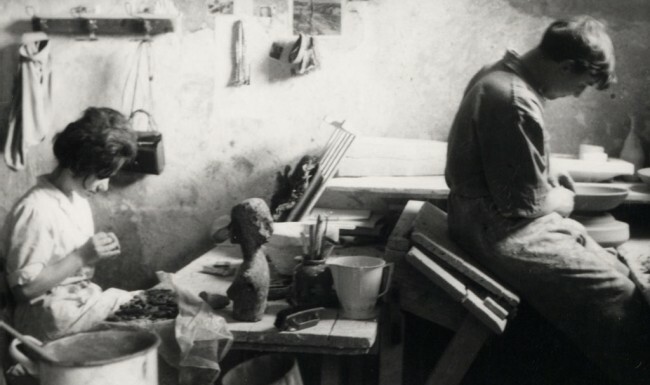 The Bottega partnered with painter Hsiao Chin, and a long series of works produced with Mimmo Paladino began, a professional relationship that is still very fruitful to this day. eventually continuing to involve a growing number of artists and galleries. 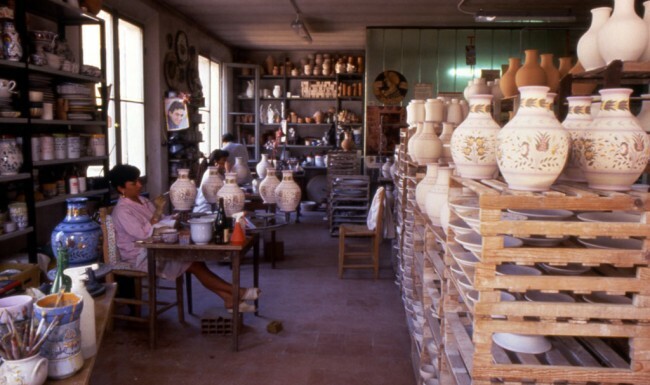 These were also the years of the partnership with Giacinto Cerone and Giosetta Fioroni; her works in Faenza have recently been gathered in an exhibition at the International Museum of Ceramics. Another major partnership was that with Luigi Ontani, with whom the Bottega has produced countless works and exhibitions, beginning with the Sala (Hall) at the Biennale di Venezia in 1995. 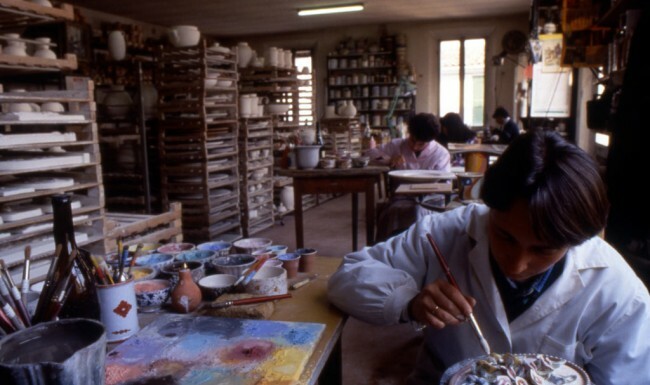 From the middle of 1990s , the professional relationships and agreements that Bottega and Davide Servadei have established with artists have been growing, and enlist both young and famous artists like Carla Accardi, Aldo Mondino and Ettore Sottsass. 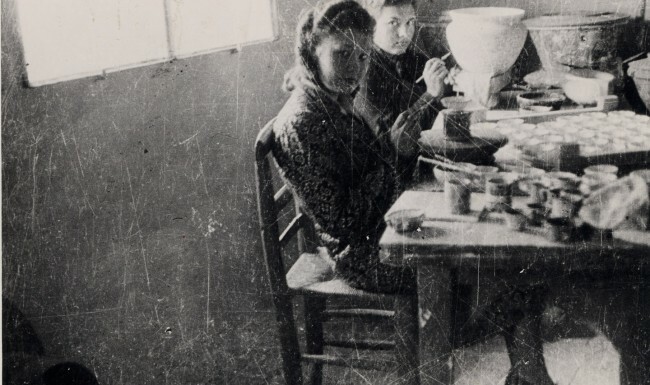 To them, we can add: Luigi Carboni, Tristano di Robilant, Vincenzo Cabiati, Amedeo Martegani, Liliana Moro, Chiara Passa, Mario Della Vedova, Luisa Rabbia, Dani Karavan, Paola Gandolfi, Mike Kelley, Giuseppe Maraniello, Agostino Bonalumi, Giuseppe Uncini, Marcello Jori, Antonio Riello, Domenico Bianchi, Giuseppe Gallo, Paolo Maione, Nicola De Maria, Valerio Berruti, Sandro Chia, Enzo Cucchi, Ilya Kabakov, Hidetoshi Nagasawa, Arcangelo, Germano Sartelli, Antonio Violetta, Alex Pinna, Giulia Caira, Alik Cavaliere, Tommaso Cascella, Luca Vitone, Alessandro Pessoli, Marco Nereo Rotelli, Lucio Del Pezzo, Emilio Isgrò, Arnaldo Pomodoro, Giovanni Ruggiero, Oliviero Rainaldi, Italo Zuffi, David Casini, Paolo Leonardo, Bruno Ceccobelli, Marzia Migliora, Nicolàs Leiva, Vedova-Mazzei, Carlo Benvenuto, Jessica Carroll, Marco Boggio Sella, Salvo, Sabrina Torelli, Arnold Mario Dall’O.